Experience luxury and southern hospitality at Courtyard Charleston Waterfront hotel, located minutes from the historic district of Charleston, SC. Unique among hotels in downtown Charleston, guests can experience stunning views of the Ashley River, unwinding on our beautiful terrace, swimming in the outdoor waterfront pool, relaxing by our fire pit or whirlpool, or resting in their spacious guest room. One of few waterfront hotels in Charleston, our hotel sits along the beautiful Ashley River and is a short drive from the city's top destinations including; the shopping on King St., downtown market, historic plantations, and military parks. Take our convenient hotel shuttle into the Historic District for a small fare. This unique Charleston hotel offers a 24/7 fitness center and a business center. Join us at The Bistro for a delicious breakfast or dinner. Experience style, convenience and great service at the newly renovated Courtyard Charleston Waterfront Hotel. 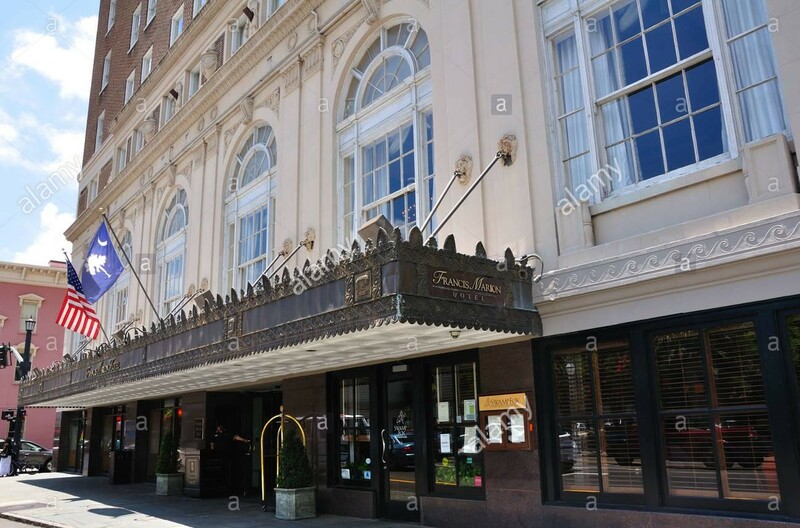 The historic Francis Marion Hotel, named for the Revolutionary War hero Francis Marion, the “Swamp Fox,” has a long tradition of gracious service, elegant accommodations, and hosting splendid banquets and events dating back to its opening in 1924. Rising 12 stories, many of the Hotel’s 235 guestrooms and suites offer spectacular views of Charleston’s historic harbor, church steeples and legendary King Street. The Francis Marion Hotel, with its central downtown location, is an easy walk to the antebellum homes, magnificent gardens, antique shops and boutiques, and world-class restaurants. Please click "Visit Website" below to book under our Wedding Block.